I'm a Licensed Child and Family Educator, have a B.S in Child Psychology and an M.Ed. in Family Education. 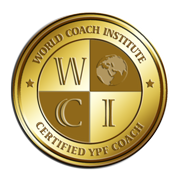 I'm also a certified Professional Coach and a certified Youth, Parent & Family Coach through the World Coach Institute. I've been working with families for over 20 years in a variety of settings. I'm passionate about empowering teachers, caregivers and parents to grow genuinely happy and confident children. 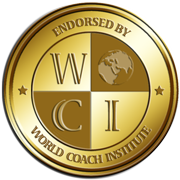 I do this through classes and trainings for educators and parents as well as though my book, Your Family Compass: A Parenting Guide for the Journey that was published in 2012. 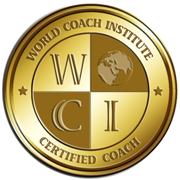 I can be contracted by organizations to come lead a talk at your school or program. Beyond my work with Jenny Hanlon Consulting, I teach preschool on Tuesday’s and Thursday’s at Tamarack Nature Center through the White Bear Lake School District, am a Family Educator through Stillwater Area Schools ECFE Program Tuesday nights, Wednesday’s and Friday’s and teach the Growing Children parent-child class on Monday’s at The Children’s Farm School in West Lakeland. From 2007-2013 I was also the Summer Program Director at The Children’s Farm, supervising and training the summer intern teachers and overseeing all other aspects of the summer program. I recently became ordained by the Universal Life Church to officiate weddings. I volunteer with the Minnesota Children and Nature Connection seeking to find more ways to connect children and families with nature. I am also on the steering committee for MN Early Childhood Outdoors (MNECO) a networking group to connect educators with resources to connect their students with nature during their time at school. I have served as an active volunteer with FamilyMeans, a nonprofit service organization in Stillwater. I was on the Next Generation Leadership Council, planning and running fundraisers to support the various programs FamilyMeans offers along with being a respite care volunteer with my certified therapy dog, Ries. As one of the Founding Teachers of Dodge Nature Preschool, I taught preschool, lead parent workshops, and was also the Assistant Director from 2000-2004. My husband and I live in the eastern suburbs of the Twin Cities with our teenage children and two active dogs.